2015 marks 93 years since The Pie Dump opened and started treating our loyal customers to such staple items as our famous hot rolls and gravy and donuts. H.E. Grant opened the doors for business in 1922. In 1925, R.A. Christensen bought The Pie Dump and this is when it really got its name. R.A.'s wife would make over 50 pies a day and the students would run over to be the first in line. About 3 years later, Leland Hansen decided it sounded like fun to run a restaurant. He bought the business, added selling pies from his school bus at the fair, and added a back store. They also added candy bars and said that since it was something that was new to customers, the candy sold the very best. Donna and Gordan Worley purchased The Pie Dump in 1944. They made donuts on a wood stove and it was now that our famous hot rolls, potatoes, and gravy came into play. Many people remember Donna’s chocolate cake and soft ice cream. The first year they were in business my dad spent his summer earnings at The Pie Dump. Mac and I ate here in high school and the Worleys catered our wedding. They named the restaurant Worley’s Sweet Shoppe, but everyone in the valley still called it The Pie Dump. Never in a million years did we anticipate that this would be where we would raise our family and earn our livelihood. In 1982, we were given the opportunity to run and later buy Worley’s Sweet Shoppe. Worley had sold it to some developers to be torn down for progress, but the developers went bankrupt leaving an opportunity open for us. That first year, we ran it with Dee, my brother, and his wife Kari. The next year Mac and I purchased it. We kept the name Sweet Shoppe, dropped the Worley’s, and added Munn’s, but the people of the valley still wrote their checks out to The Pie Dump. In 1994, we remodeled, but two years later we almost had to close the doors. With the influx of 15 fast food restaurant in the Bear River Valley, it was hard to compete. 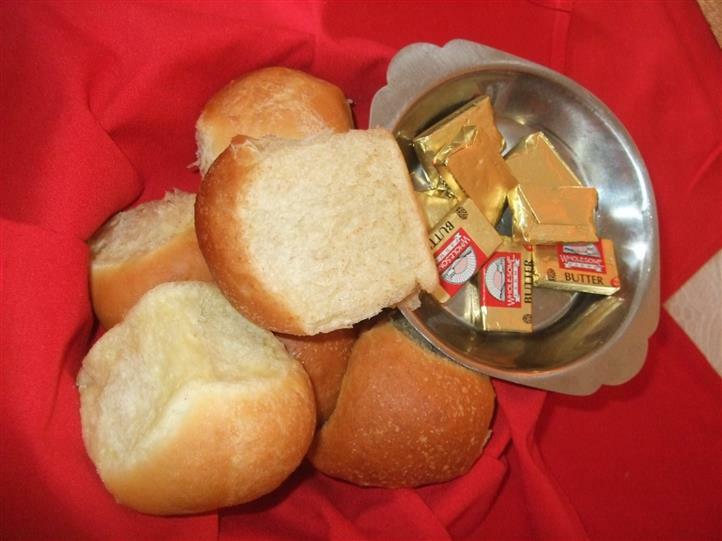 We had done well on hot rolls, potatoes and gravy, but now was the time to rethink our menu. So with some much needed education, we added a little bit of everything as daily specials and it worked. We would live to cook again. This was the year we added pies, using my mom’s pie crust and filling as our base, to our catering menu. We baked 350 pies the day before Thanksgiving! Very fitting for place called The Pie Dump. In 2002, Mac went to work at Chanshare Sod Farm for a bit. Zachary, our middle son, and his wife ran Munn’s Sweet Shoppe for 2 years while I had my knees replaced. That year was the first year The Pie Dump was open for the summer. In February 2004, Mac decided it was time to return to the life he loved; baking, telling jokes, and enjoying people and I came along for the ride. 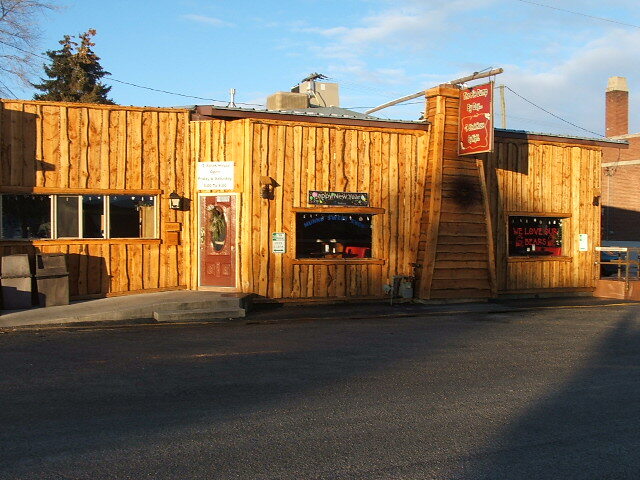 At this time, we did a major renovation and added a steak house as part of our business. Thus we became, The Pie Dump by Day/-TL Steak House by Night. Catchy name since our customers, who always know best, have always continued to call us The Pie Dump after all. The steak house went very well for 6 years, but when the recession hit in 2009 we had such a decline in business that we had to close its doors. We continued on with The Pie Dump, a place that always seemed to hold its own. Today we are The Pie Dump/-TL Catering. There are the things on the menu that the locals love, our pastries and the other great grub that we have developed over the years. Recently, we added a mouth-watering breakfast menu and for the first time ever opened on Saturday morning for breakfast from 7 to 12. We cater everything you can imagine, on and off site, day or night. Do we have pies? Yes we do! We make over 200 pies and rolls galore every Wednesday before Thanksgiving. Our pies are available made-to-order, but you won’t see them on our daily menu. Our mainstays are our pastries, hot rolls, potatoes and gravy. We have evolved over the years because our customers ask us to. Our customers are our future. Owners may come and go, but our loyal customers are the ones that have made us an icon in the community for almost 100 years. 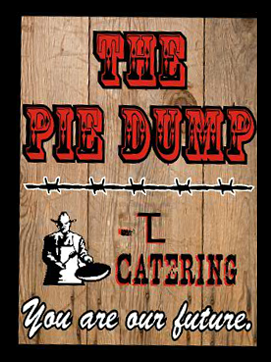 Now, we are The Pie Dump/-TL Catering and YOU ARE OUR FUTURE!